Every minute, we see a heavy downpour of social-media messages, like millions of construction workers pouring concrete down the cement mixer, but instead of it being constructive, we find messy roads and a lot of noise. Even if you are churning out good content steadily, you need to have knowledge or insights about this content, which is where social-media analytics come into the picture. There are several social-media analytics tools on the market today but not all of them are created equal or with similar intent. While most of the tools allow you to listen into customer conversations, monitor campaign results or gain insights on data, there are certain key features and unique selling points that make all of them special in their own way. So let’s attack the nitty gritties of social-media analytics — the what’s and how’s of it. 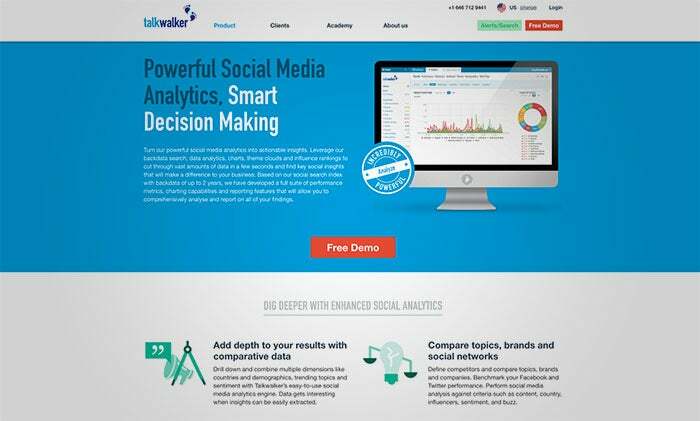 The first tool on my list is Talkwalker, which is one of the most comprehensive and powerful tools for social-media analytics. Talkwalker offers the most extensive coverage in terms of geographic spread, language and media as well as time. Their global coverage spans 247 countries and 187 languages. So whether your customer is sitting in Dubai or Dublin, speaking Arabic or Chinese, you can listen in and reach out to him or her. Talkwalker also offers insights on print, social, online and even broadcast media and allows you to identify key influencers as well as the emotions associated with your brand or products. What’s more, you can get insights on two years of historical data, so even if you have been a late adopter, you get to see into the past. You can export and combine these insights with other data in order to create strong visuals to see patterns that help decision-making. Who uses this tool and how? Some of the most prominent clients of Talkwalker include Volkswagen, Microsoft, Greenpeace, Best Western, Ogilvy and Peppercomm. These clients use it to listen to their audience, use social insights to inform business strategy, predict social trends and create comprehensive social-data intelligence reports. You can get a taste of their paid platform by signing up for a free demo. SumAll is a cross-platform tool that gains insights from social media, ecommerce websites, sales and web. This platform was essentially built to make data analytics accessible and affordable for small business. SumAll has partnered with Shopify, PayPal, Magento, eBay and Amazon, so users can plug and use data from everywhere. SumAll breaks down social media and ecommerce metrics into simple and beautiful charts, which makes it easy to understand for all kinds of users. SumAll is essentially meant for small-to-medium ecommerce companies. Users can get a bird’s eye view of data from Google, their website and social media pages to understand their audience and make simple decisions such as when to give out discounts or offer free shipping. 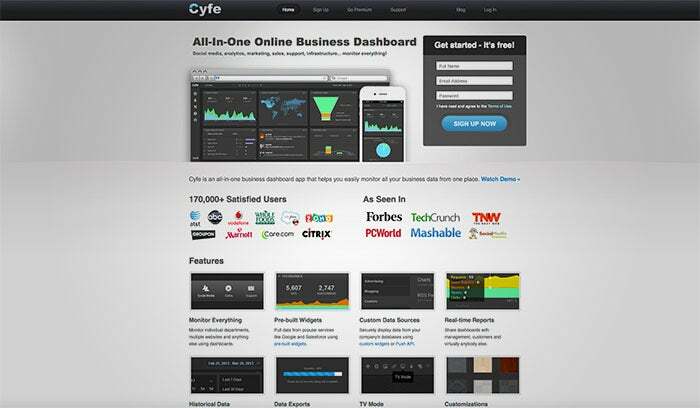 One of the key features of Cyfe is its All-In-One Dashboard that offers insights on all aspects of your business from social media, marketing, sales, support through to infrastructure. So in a sense, it is not a through and through social-media analytics tool but a jack-of-all-SaaS analytics tool. While this might mean lot less advanced features like filters and search and detailed analysis, it also means a far better overview of how each marketing channel integrates with the others as well as overall operations. Some of the important Cyfe users are Vodafone, Citrix, Groupon and Marriott. From tracking new signups to monitoring networks through to managing projects, Cyfe can be used for varied reasons. Plus, they’re always adding new widgets that help customize your dashboard. 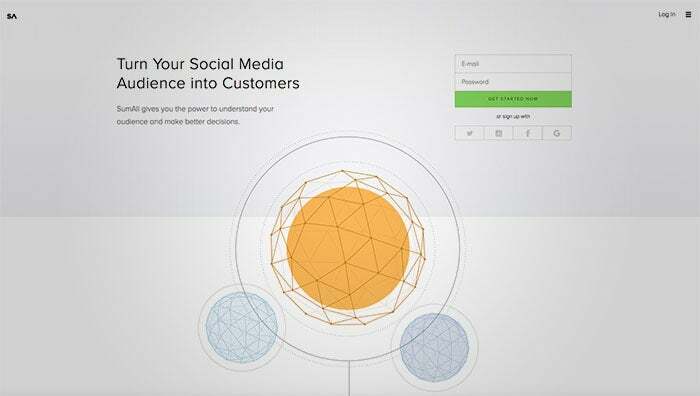 Social Report is a social analytics plus publishing and automation tool. It allows you to tune into your social-media insights, schedule your posts, syndicate content and automate replies, follow / unfollow, likes, etc. Basically, it takes care of all your social needs. 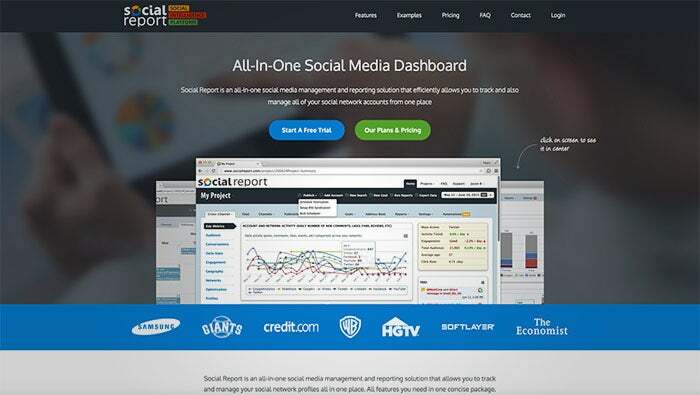 Some highflying users of Social Report include Warner Bros, The Economist, HGTV and Samsung. The most common uses of this tool are analytics and reporting, social-media monitoring, publishing, automating responses and content backup and archiving. All the tools described here help you gain intelligence on data pouring in from all directions; all of them have their own strengths and weaknesses. You just need to find the one that suits your needs the best and use it in your business.